SpaceX founder Elon Musk says travel to Mars is within reach, with the possibility of having 1 million people living on Mars within 100 years. SpaceX isn’t alone in working toward reaching Mars, however. In fact, there are quite a number of missions, both manned and unmanned, that are currently planned or under proposal from government space organizations and private space flight companies across the globe. Exploration of Mars and eventual human travel to it are nothing new. While manned missions have remained financial and logistical near-impossibilities, unmanned missions began in 1960. There have been 56 Mars missions so far, of which 26 have been successful — a testament to the difficulty in reaching the red planet. As it stands right now, there is one rover currently operational, with another en route and due to arrive late this year (as of the writing of this story, Opportunity is stuck in a massive dust storm with low chances for survival). Orbiting Mars are six satellites, providing massive amounts of data on our dusty neighbor. It doesn’t end there. Many more missions are planned for the 2020, 2022, and 2024 launch windows, and there are proposals to put humans on Mars by the 2030s. This portion of the list includes the world’s most notable past missions, most of which are still in operation. Named after the iconic sci-fi novel and film 2001: A Space Odyssey, Mars Odyssey is a NASA orbital satellite that is currently about 2,400 miles above Mars’ surface. It launched on April 7, 2001, and holds the record as the longest-operating spacecraft orbiting Mars. 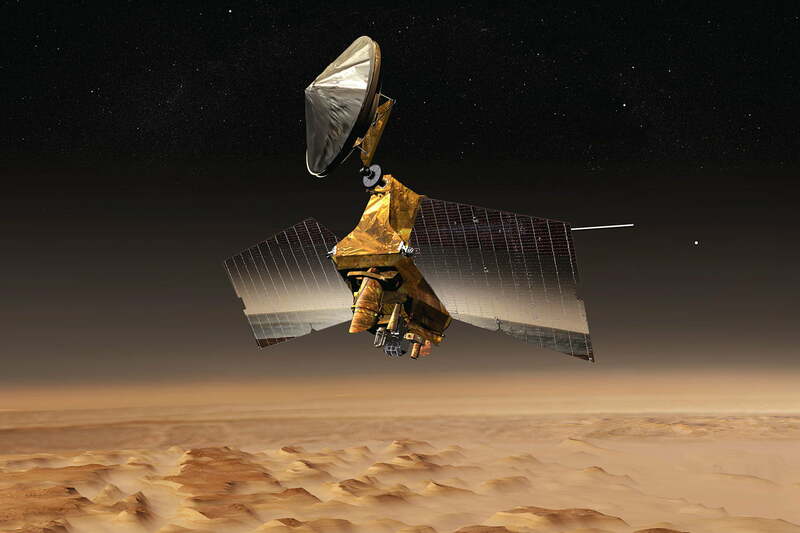 Mars Odyssey’s mission was to find proof of past or present water on Mars, using spectrometers and a thermal imager to map out the distribution of water, which was successfully proven on July 21, 2008, by the Phoenix lander. 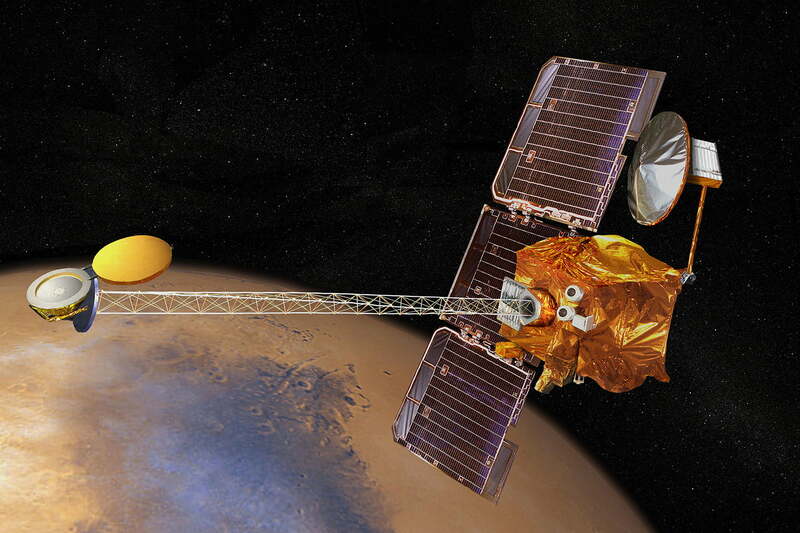 Mars Odyssey also serves as a communications relay between Earth and martian rovers, the Mars Science Lab, and the Phoenix lander. It is projected to remain in operation until 2025. Mars Express was launched along with the Beagle 2 lander by the European Space Agency on June 2, 2003. 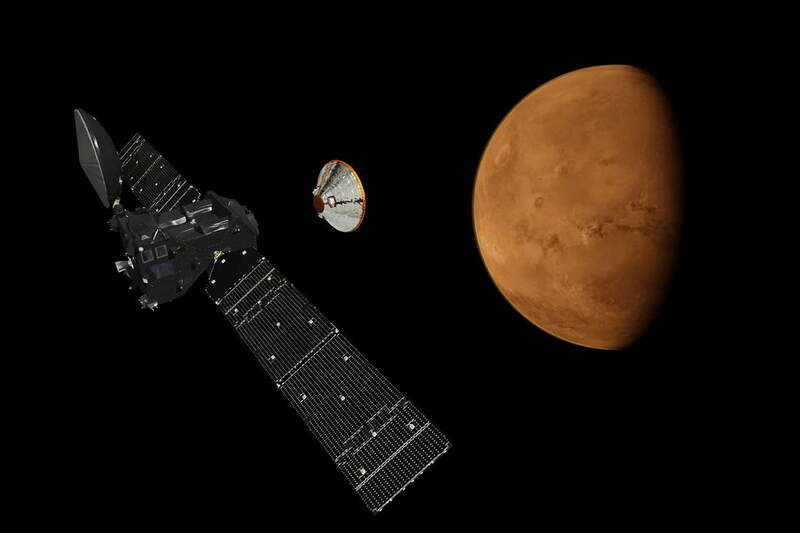 While Beagle 2 suffered a lander failure, the Mars Express satellite has remained in successful communication with Earth. 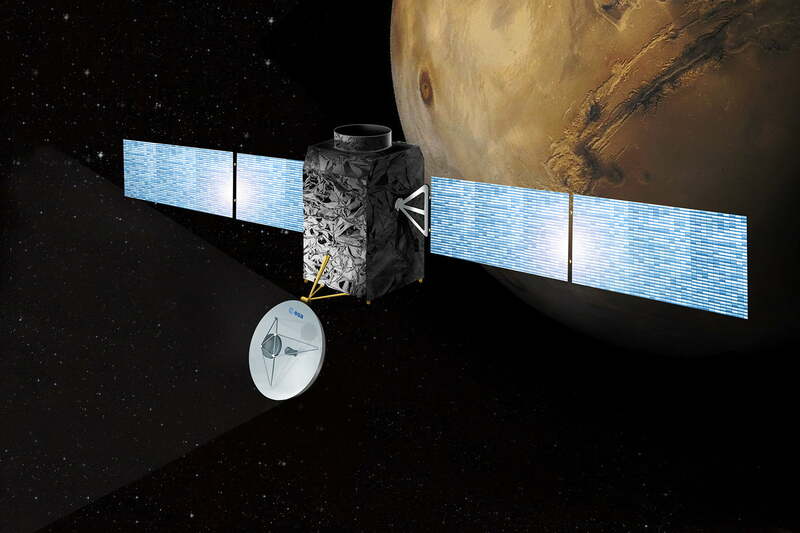 Mars Express was launched with the intent of surveying Mars’ surface using high-resolution camera, radars, and spectrometers. 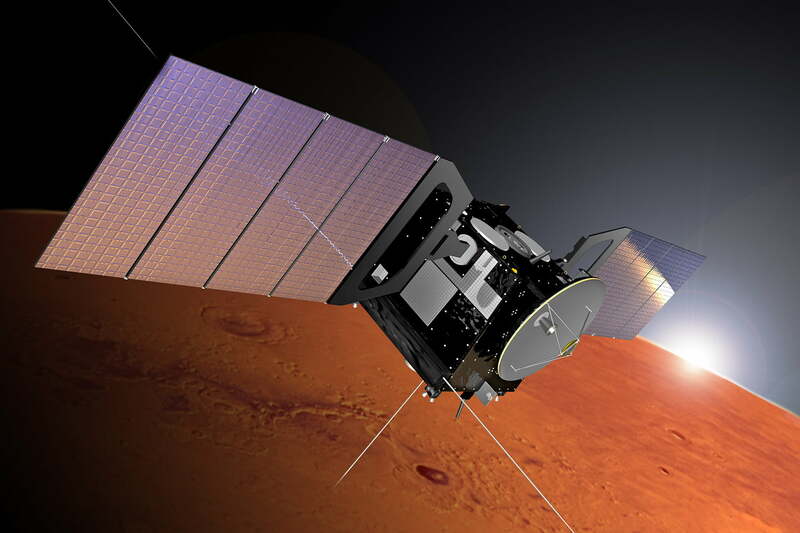 Thus far, Mars Express has discovered water ice and carbon dioxide ice in Mars’ southern ice cap, along with an area of liquid water underneath, and has provided better detail of the elemental and chemical makeup of the planet’s surface and atmosphere. The project has also resulted in a topographical map of Mars, high-res surface images, and flybys of Mars’ moon, Phobos. This data has been incredibly valuable, and has earned the craft several end-date extensions. It’s currently scheduled to remain in operation until the end of 2026. 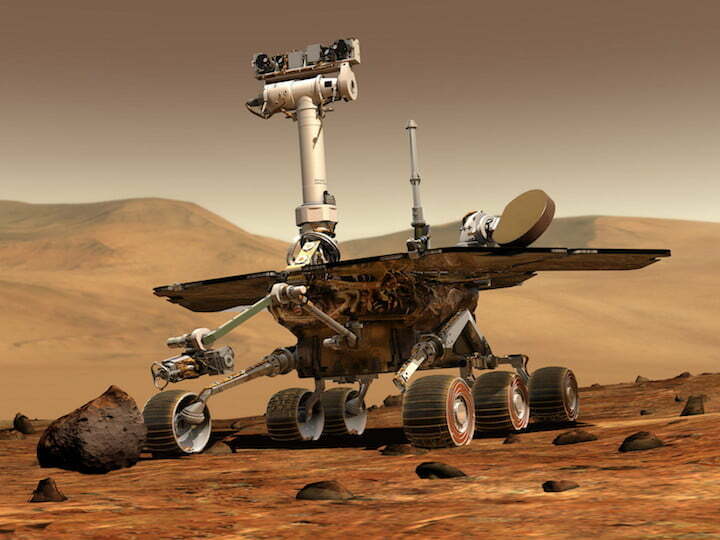 The Spirit and Opportunity rovers arguably represent one of the biggest success stories of the current NASA space program. Launched separately in summer 2003, the pair of rovers arrived on the red planet after about six months. 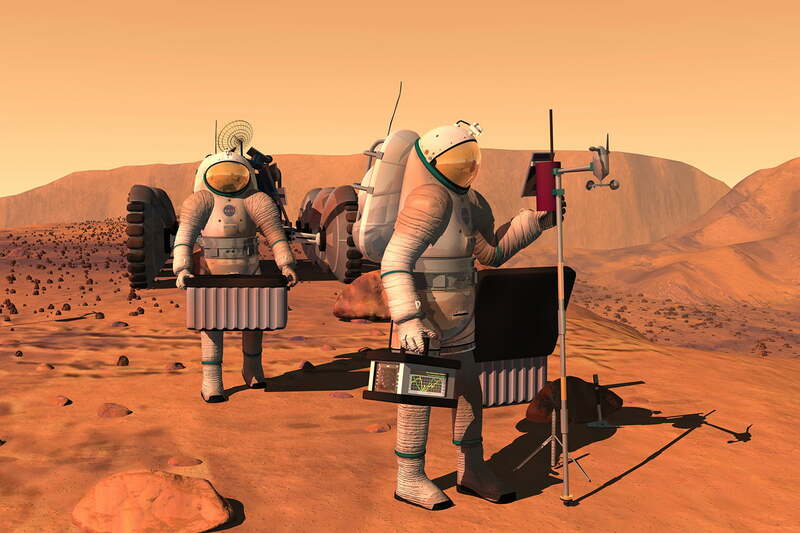 Initially, the plan was for a 90-day mission to study the geology and atmosphere of Mars. But the two rovers didn’t quit: Spirit would continue to transmit until March 2010, and Opportunity until June 2018! The pair of rovers are widely credited with providing the first solid “ground truth’ that at one time” Mars was much wetter than it is today. On August 12, 2005, NASA launched the Mars Reconnaissance Orbiter (MRO), which entered Mars’ orbit on March 10, 2006. The MRO has been observing the landscape and has made numerous high-profile discoveries, including the recent observance of flowing saltwater on the surface and subsurface of the planet. MRO was also used to find a landing zone for the Phoenix Lander, and acts as a relay for communications between active rovers and Earth. Like nearly all other unmanned craft listed here, NASA’s Curiosity was made to study the landscape and climate of Mars, comprising the rover portion of NASA’s Mars Science Laboratory (MSL). Specifically, Curiosity is looking for potential evidence of microbial life-sustaining conditions — either past or present — and assessing Mars’ habitability ahead of human contact. It’s most notable find so far is the discovery of organic molecules on the planet’s surface in 2018. 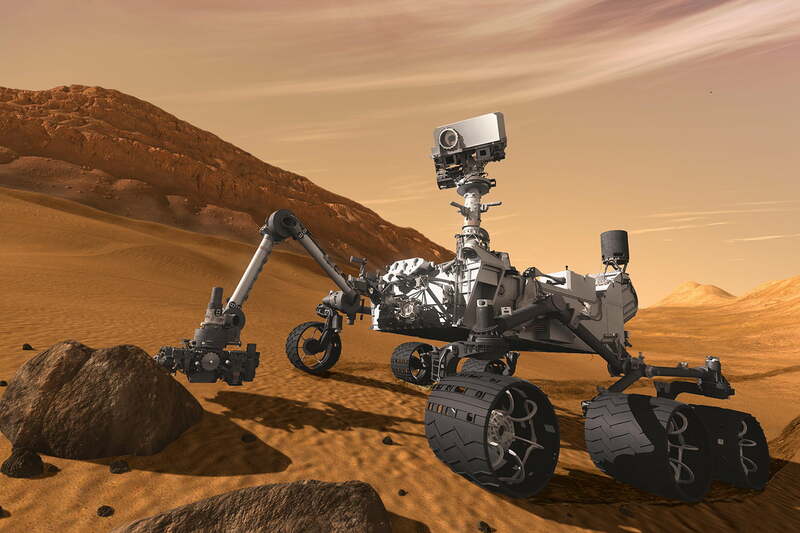 The rover is equipped with a vast array of instruments and cameras, and has been operational on Mars since 2012. The Indian Space Research Organization (ISRO) launched its first interplanetary mission on November 5, 2013. Dubbed “Mangalyaan,” the craft is an orbiter that has primarily been used as a proof of concept for ISRO’s interplanetary tech capabilities, testing various flight and communications systems, and providing telemetry data. Mangalyaan is also outfitted with a small suite of research instruments designed to capture atmospheric data. It is also the cheapest Mars mission to date, costing only $73 million U.S. 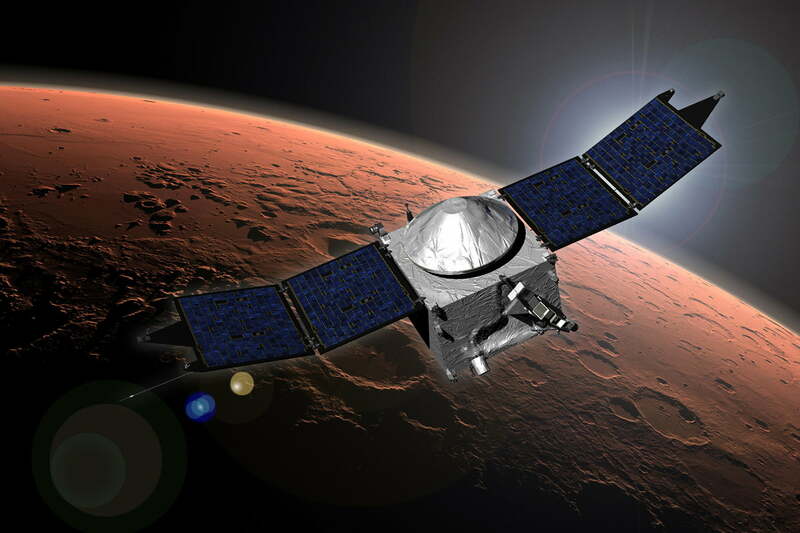 The Mars Atmosphere and Volatile Evolution Mission (MAVEN) is currently searching for explanations for how and why Mars’ water and atmosphere have been slowly deteriorating and escaping. After entering orbit in 2014, it was quickly able to confirm that Mars’ atmosphere was escaping into space, and further observations found the planet’s magnetic field is more like a tail, disrupted by the solar wind. This could explain the Red Planet’s loss of atmosphere, but scientists are still investigating. Launched in 2016, ExoMars is the first in a series of joint Mars missions through a partnership between the European Space Agency and Russia’s Roscosmos. 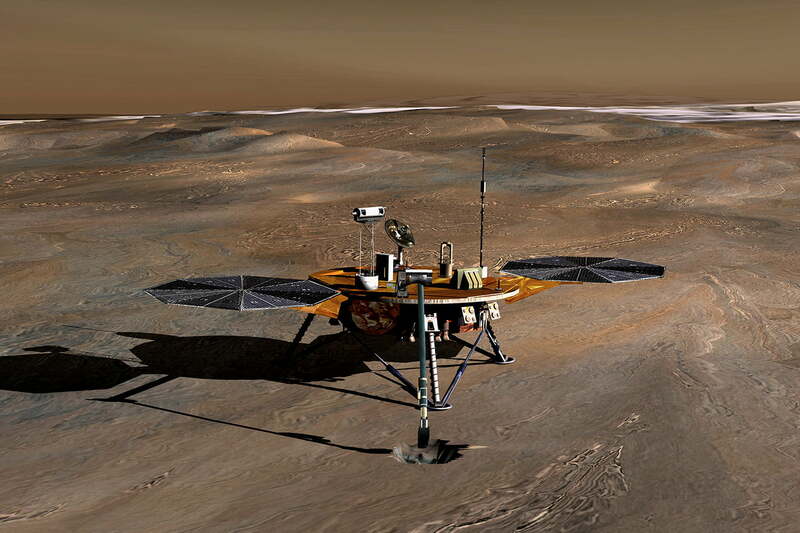 The mission actually included two probes, the ExoMars Trace Gas Orbiter (TGO) and the Schiaparelli EDM Lander, however the lander crashed on the Mars surface after being delivered by the TGO. Researchers hope to gain a better understanding of methane and other trace gases present in the martian atmosphere that could be evidence for possible biological activity. Launched in May 2018, with a successful landing in November of that year, the InSight Lander, short for ‘Interior Exploration using Seismic Investigations, Geodesy and Heat Transport,” aims to study the core of Mars and observe any possible seismic activity on the planet’s surface. It is hoped the data collected will lead to better understanding of how rocky planets such as Earth, Mars, Venus, and Mercury are formed. The current plans are for a two-month deployment phase upon landing, followed by nearly two years of observations as part of the initial mission.